Growth of Indian economy and business development got proved by the budding level of the wealthiest persons here, who reach to the top list of millionaires and billionaires. Their expertise is widened up to various levels, such like marketing, communications, software development, telecommunication, pharmaceuticals, games & sports, music & entertainment, financial sector, and commodities etc. We are well-acquainted to most of the richest groups in India, like Ambani, Birla, Mittal, Jindal, and Tata etc. but there are also some younger personalities under forty who established milestones in both of their career improvement and India’s commercial market. And we are proud to be Indians that our country got benefited to a great extent by their contribution. A fortunate of $4 billion, Arun Pudur of 39 from Chennai, India, has been designated as Asia’s richest entrepreneur under the age of 40. In 1998, he established Celframe, which is considered to be the next to Microsoft in the field of word processing. The versatile talent, Pudur, has also contributed to the mining and real estate industries, where he achieved much benefit. Presently, he presides over his asset Celframe. 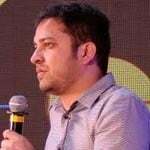 Anurag Dikshit of 38 is considered to be one of the pioneers in the field of online gaming company to which he contributed as a co-founder. 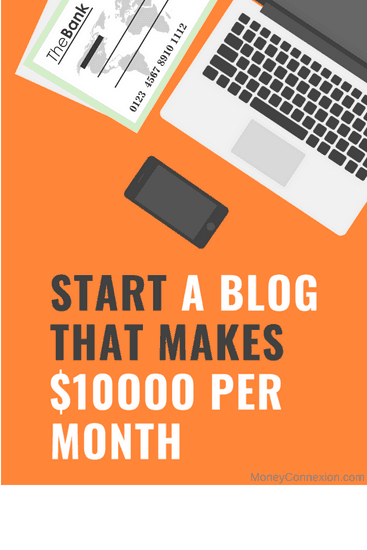 He aimed at making payments to the gambling websites by establishing this company. His net worth has reached to the amount of about $1.5 billion. 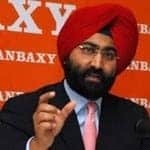 Shivinder Singh, the budding personality among the richest persons in India, is one of the wealthiest share-holders in the Ranbaxy Laboratories. And you know it is considered to be one of the largest manufacturers to enjoy the healthy benefits in sales in the pharmaceuticals. Shivinder along with his older brother Malvinder Singh of 40 experiences the profit of owning around $1.8 billion. 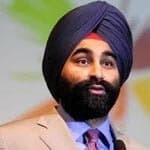 The present chief executive officer of Ranbaxy, Malvinder Singh of 34, runs the Fortis Healthcare. He attempts to make this network of hospitals prepared to appear before the public very soon. He owns the asset of $1.8 billion. The Singh Brothers are expected soon to build a vast empire in the field of pharmaceuticals networking as well as education associated with medication along with the advancement in the retail industry. A software engineer and internet entrepreneur from Chandigarh, India, Binny Bansal, manages to benefit around $1.3 billion. 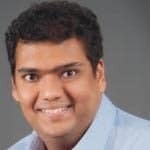 A graduate under the Indian Institute of Technology Delhi, India, Binny, with the specialization in computer science and engineering, has now been promoted to the Chief Operating Officer of Flipkart, which he jointly ventured with Sachin Bansal. A renowned personality in the e-commerce industry, Binny was earlier known for his association with Amazon. Prior to joining Amazon, Binny contributed to Sarnoff Corporation, where he worked for a year and something. 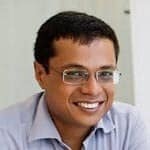 A popular name in the Indian e-commerce industry, Sachin Bansal, the 35 years old software engineer and internet entrepreneur, was born on the 5th of August, 1981 in a businessman’s family Genetically he got the business trend from his father. Coincidentally, he also graduated from the Indian Institute of Technology Delhi, from where Binny also completed his graduation. They jointly contributed for Flipkart, the net turnover of which is $1.3 billion. Sachin got married to Priya, who is a dentist; they have a 4 years old child. After serving the Techspan Company for a few months, Sachin opted for joining the Amazon in 2006. At this time, he met Binny. They left Amazon in 2007, after which the historical foundation of Flipkart was made from an apartment in Bangalore at the expense of $6,500. Earlier, they used to deliver orders of books on scooters. And, it is a gradual process that they reached to today’s big platform of Flipkart- their dream-project. 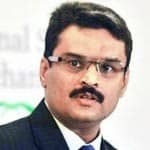 The 39 years old Jignesh Shah, the founder of Financial Technologies Group (FTG), owns $840 million. FTG is a software company set up in 1995. The present turnover of this company is around $2 billion. A hard-working, professional, innovative, and dedicated to business growth and structure, Shah also tackles the Multi Commodity Exchange of India. 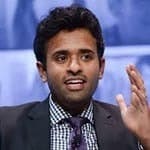 Graduated from Harvard College, Vivek Ramaswamy attained the wealth of $3 billion at the age of 30 with Axovant Sciences. He is the Indian-American entrepreneur. He bought the drug from Glaxo at $5 million which now worth at $2 billion. 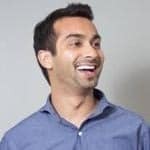 Founder and CEO of Instacart, Apoorva Mehta owned the wealth of $2 billion at the age of 29. Earlier, he was associated with Amazon from 2008 to 2010. After that, he established Instacart in June, 2012. He took his education from The University of Waterloo with the specialization in electrical engineering. Rajiv A. Poddar, associated with the Balkrishna Industries Ltd Serving as the joint-managing director of BKT Tyres from 2013 to present, has the fortune of Rs. 4,500 crore at the age of 31. Prior to joining as the MD, he used to serve as the Executive Director of BKT Tyres from 2008 to 2013. Earlier in February, 2015, he served as the non-executive director at Nirvikara Paper Mills Limited. He graduated with the specialization in Business Management from the Kingston University. Earlier , he was in the Epsom College from 2000 to 2002. His tops skills are business strategy, new business development, business planning, negotiation, manufacturing, product development, marketing strategy, supply chain management, business development, and sales management. His kin interest also falls in the categories like operations management, team building, change management, and procurement. 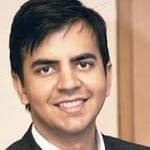 Bhavish Aggarwal, an entrepreneur of 30 from Ola cabs, has achieved the wealth of 3,000 crore INR. He was born in Ludhiana, Punjab. 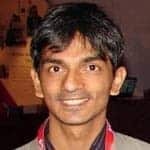 After completing his graduation with the specialization in Computer Science and Engineering from IIT, Mumbai in the year of 2008, he concentrated on his career growth with Microsoft Research. Being innovative in nature, Bhavish left Microsoft and inspired himself to be an entrepreneur by forming the rare idea of technology and transport hand-in-hand, which has brought about a revolutionary change in the lives of billions of people. He boosted the opportunity of having travelling conveniences through smart phones with the help of the service of OLA cabs. 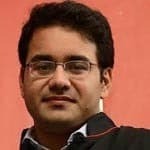 Co-founder and CEO of Snapdeal from 2007 to present, Kunal Bahl of 32, has revenue of 2,300 crore INR. Snapdeal is the joint venture of Rohit Bansal and Bahl. 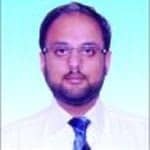 Top skilled in entrepreneurship, leadership, e-commerce, start-up, business development, competitive analysis, marketing, business strategy, retail, and online advertising, Kunal is also interested in digital marketing, pricing strategy, consumer behaviour, relationship marketing, and corporate development. A hard-working, professional, innovative, Nilima Motaparti, has acquired the net wealth of Rs. 7,100 crore at the age of 34. She is related to the Divis Laboratories. Founded in the year 1990, Divis focuses on the development of novelty in the growth of Phrama ingredients and Intermediates. The company is popularly known for its production in the areas like, custom synthesis of Active Pharmaceutical Ingredients and Intermediates for Generics, building blocks for peptides, building blocks for Nucleotides, carotenoids, and chiral ligands etc. Its head office is situated in Hyderabad, India. Associated with the Directi Web Services, Divyank Turakhia attained the net worth of 3,000 crore INR at the age of 35. He is the founder of Media.net and has been serving as the CEO since 2010. Prior to founding Media.net, he was related to Skenzo, a branch of Directi. One such branch of Directi is CodeChef.com. Turakhia focuses on ad networks, online advertising, affiliate marketing, mobile advertising, online marketing, e-commerce, web analytics, and SEM. He got featured as a ‘Winning Warrior’ on Bloomberg Television in May, 2010. The Entrepreneur Magazine covered him as one of the country’s leading entrepreneurs in May, 2010. In January, 2008, the Financial Express featured him as one of the country’s ‘New Business Leaders’. His kin interest falls in SEO, conversation optimization, Google Ad words, Google Analytics, online lead generation, and strategic partnership etc. 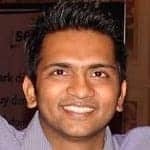 Born on 21st December, 1979 in Mumbai, Bhavin Turakhia is associated with Reseller Club, Logic Boxes, Directi Web Services, and Big Rock. 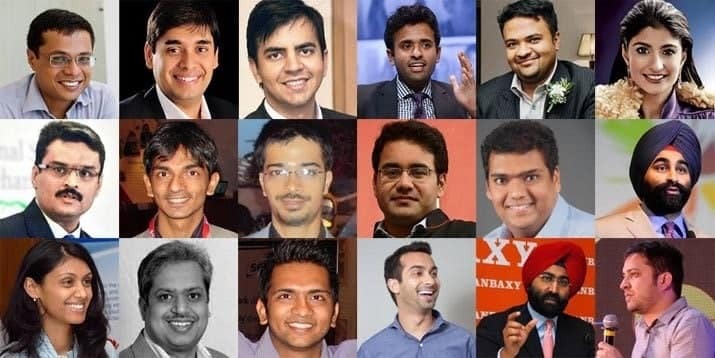 This under 40 business figure has earned 3,000 crore INR at the age of 36. 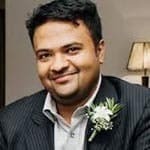 He is top skilled in strategy, leadership, e-commerce, start-ups, business development, team management, online advertising, entrepreneurship, and web services etc. He is also interested about CRM, HTML, cloud computing, social media, Linux, web development, MySQL, and new business development. Actually, she inherits this business from her father Mr. Kirit, who established this group in 1989, thus leading it to come to light in 1993. Apart from this family business, she also owns a dressing company named as Burn Baby; her own fashion brand -Nsha-got launched in three continents. 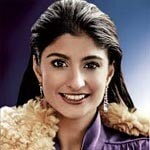 Associated with the Divis Laboratories, India, Kiran Satchandra earned the net worth of Rs. 6,000 crore at the age of 40. He served as the President and Director at Divi’s Laboratories Limited from the 27th of August, 2001; later, he contributed to the organization by serving as its Director of Business Development from September 27, 2016. His roles & responsibilities include marketing of generic products, understanding of the markets in USA in the context of active ingredients and intermediates. 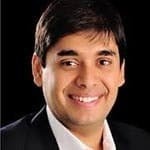 Ankit Bhati, the co-founder of OLA, attained the wealth of Rs. 2,385 crore at the age of 28. He is named as the youngest super-rich Indian. 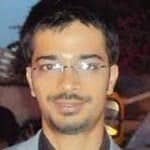 Ankit Bhati looks after technical aspects of the company. Related to Inmobi, Naveen Tiwari from Bengaluru owns Rs. 1,683 crore at the age of 38. He was born on the 14th of December, 1977. 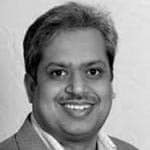 One of the board members of Paytm, Naveen took his education from Harvard Business School. 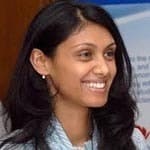 Roshni Nadar is the CEO and executive director of HCL Technologies, founded by her father Shiv Nadar. She is also famous for doing charity by providing help to the Shiv Nadar Foundation and Vidya Gyan School. She was awarded with the NDTV Young philanthropist of 2014. She owns the wealth of $11.4 billion. Hopefully, you enjoyed this grand go-through of wealth! Profiles of very talented and capable youngsters in Business are interesting and certainly inspiring . Thats really motivational and inspiring. I am a next trillionair in the making..
Sir, I am an unsuccess fellow I was too good in my study but due to our poorness I not able to study further I am only class x pass but I have ability to do any legal task I am almost 40 years old I am married and having 3 daughters and not able to earn much more so I may afford my daughter’s to good study help me and show me the way to earn money thank you.